This is a small piece for solo guitar, where I explore the 8 tone harmonic scale to see what type of harmonies you can produce without loosing the feel of key… Might step out of the “comfort zone” sometimes though. 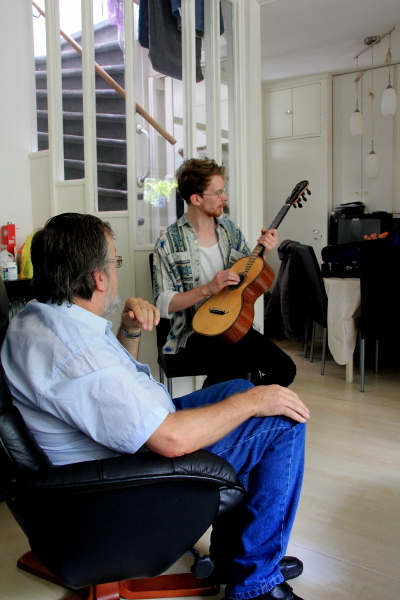 Check out the concert page to see where to experience Sapere Aude Guitar Duo this summer. 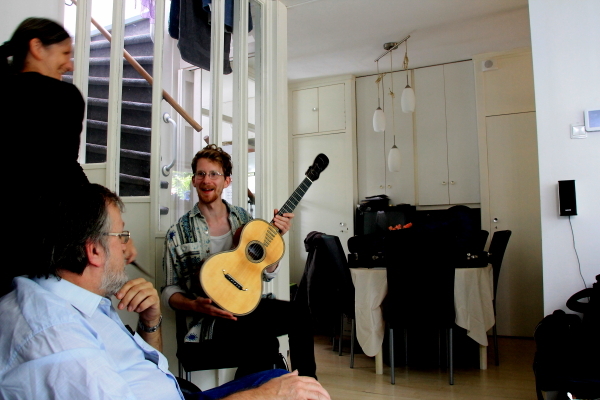 Check out the video excerpt of Sapere Aude Guitar Duo in the media section. 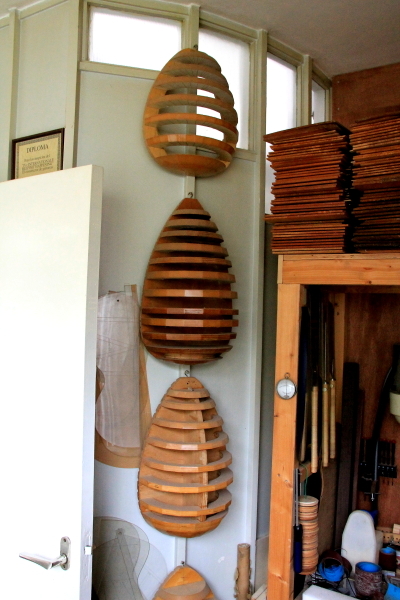 Right now I’m in the heart of Amsterdam on vacation and on friday I have an appointment with dutch luthier John van Gool. 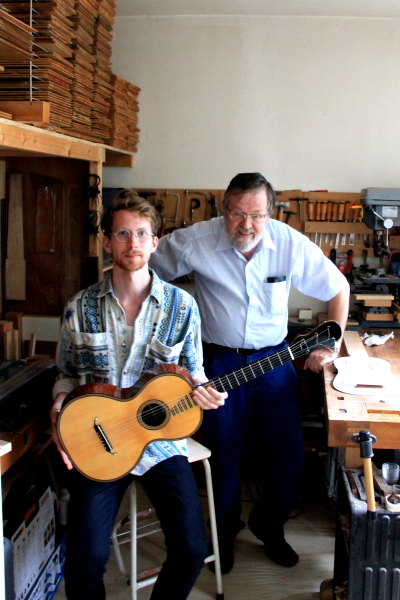 He’s a builder of classical, flamenco, romantic and early guitars/instruments. I am very much looking forward to meet him, and to try a replica of a ca 1820 model guitar. I will publish some photos after the visit. In the meanwhile please check out his website. The piece is starting to take shape.